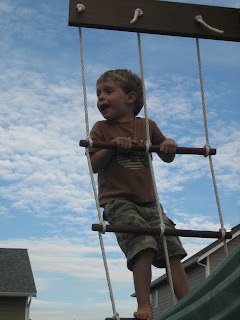 I was looking through all of our pictures today and realized I had a lot of "random" ones that didn't go with any of our other blogs! I figured I would just put some of them on even though they don't go together! 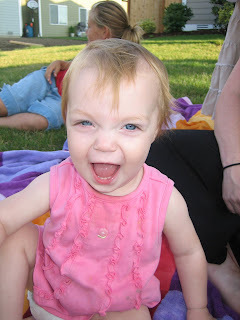 Plus, we have updated Rylie's blog some so you'll have to check it out. Taitlyn loves curling up in a little ball in her swing and Rylie loves to push! Madison has become my little "baker" this summer. 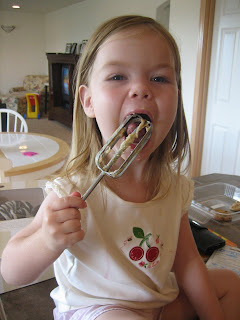 She loves helping me make cookies...especially licking the mixers after we're done! 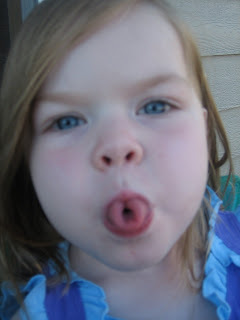 Madison is a great tongue curler and she LOVES taking pictures of it. 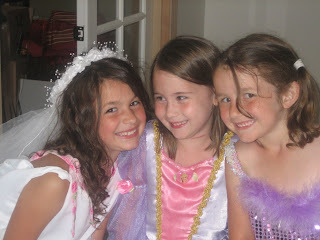 Rylie and some of our neighborhood friends playing dress up. Somehow we conviced her to let us take a picture of her! 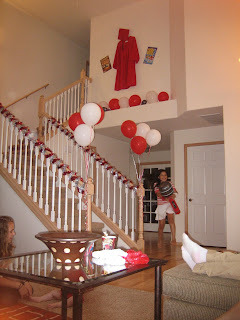 We had a High School Musical 2 party recently when the new movie debuted on the Disney Channel! It was so much fun! 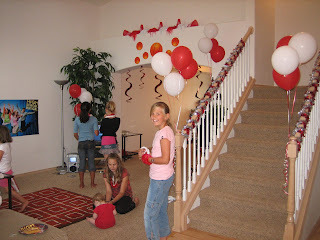 We decorated most of the house (downstairs anyway!) and had pizza, cookies and other goodies! 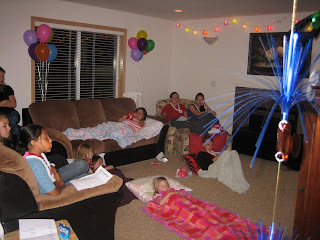 We had 18 little girls that came, 1 little boy and several moms (and dads!). Everyone came over an hour and a half before the movie started so we could do karaoke, watch the HSM Concert DVD and play outside. It was a lot of fun and the movie was great! 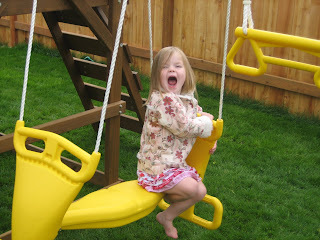 We got a new swingset this weekend that the kids have loved. It took a lot of work to put it all together but we finally did it...thanks to the help of Jason and Mike!!! 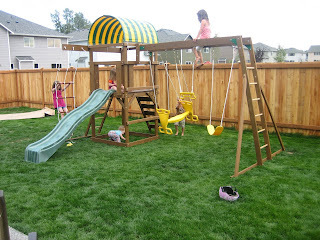 Our kids have played on it almost constantly since we put it up and a bunch of our neighbor friends have been over to play on it as well! 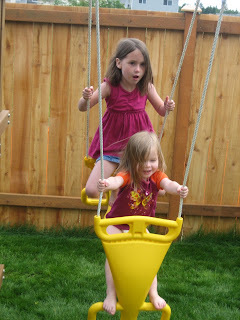 Madison & Rylie both love swinging on the glider! 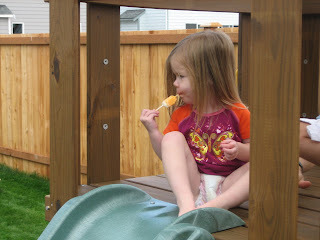 Madison was enjoying her popsicle while it was dripping down in between the slats to the grass underneath! 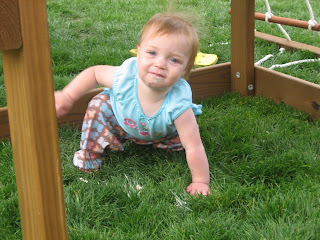 Taitlyn, on the other hand, was enjoying Madisons dripping popsicle off the grass! Sam working on his superhero skills! 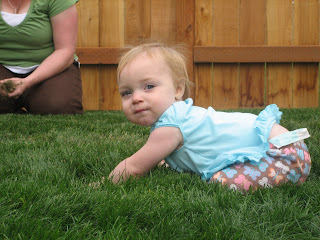 Taitlyn helped mommy pick weeds while the big kids played! This was the first morning after it was finished. 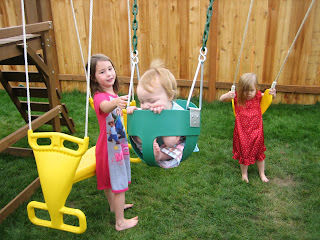 The girls couldn't wait to get outside to play on it. And yes...they are in their winter coats! It was about 10:30 when we took these pictures but wasn't even quite 60 degrees yet so it was a bit chilly! 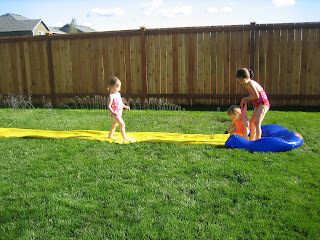 We got our slip and slide out the other day because it was unusually warm (about 80 degrees!) 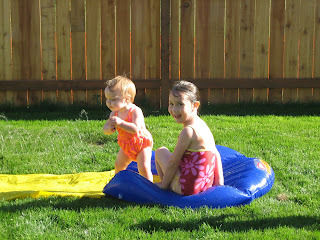 and the girls were wanting to play in the water. We even put Taitlyn in her suit! 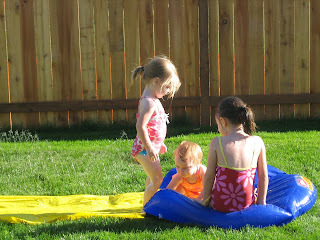 No one actually "slid" down but they had a lot of fun playing in it! 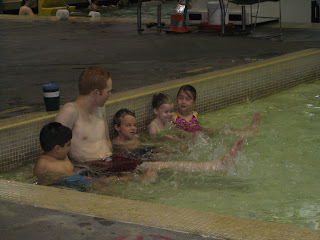 Rylie, Sam and Madison all took swim lessons together the past 2 weeks. Rylie hasn't been real crazy about "swimming" in previous years so we decided to start her out in the basic class and that just so happened to also be the class Madison was in. It worked out really well because Rylie loved "helping" Madison and Madison loved having Rylie and Sam in her class. 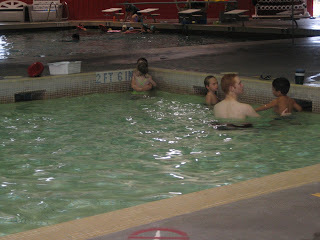 By the end of the week Rylie was swimming all over the place and loving it. 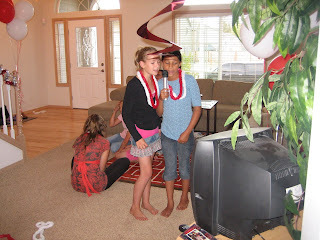 In fact, she and Sam are taking lessons again this session (2 more weeks) to try to get "caught up" with everyone else! Madison, on the other hand, is taking a break this time! 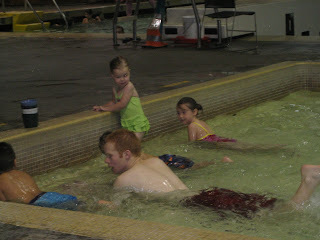 I'm sure she'll love it too someday but she was getting a little tired of swim lessons! 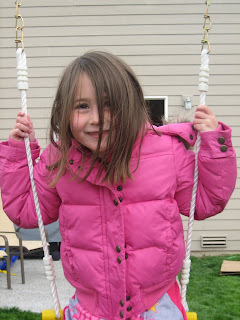 Here are some pictures of their class. Warming up with a little splashing! 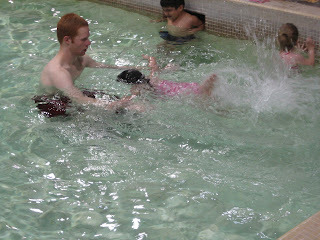 Madison wasn't too crazy about all the splashing so she decided to skip that part! If you look in the far left corner of the pool you can see Rylie and Madison embracing each other in a sweet sister hug! 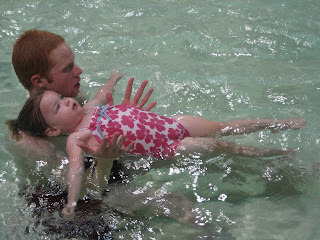 Madison practicing her back float!